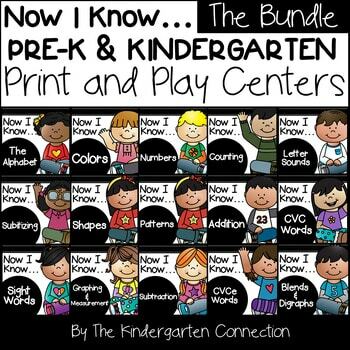 This bundle is for 15 sets of skill-based print and play centers for Pre-K and Kindergarten students! 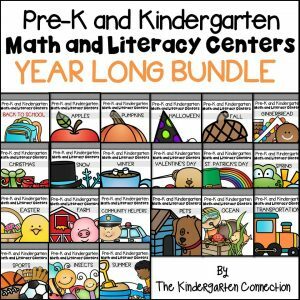 If you are looking for fun, hands-on activities to teach math and literacy skills at ANY time of year, this bundle of Pre-k centers and Kindergarten centers is for you! How will I know if they will work for my kids? Are these like your seasonal centers? While these are NOT the same as my seasonal centers, if you like our Seasonal Centers, you will LOVE these too! In fact, they pair perfectly together if you wish to use both! 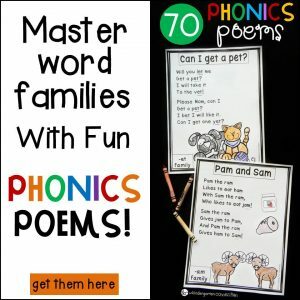 These are meant to use ANY time of year and have no seasonal elements to them, so they are great for introducing skills, reviewing skills, or anytime use! The units will contain anywhere from 8-15 centers each and will contain black and white copies of colored items as well. 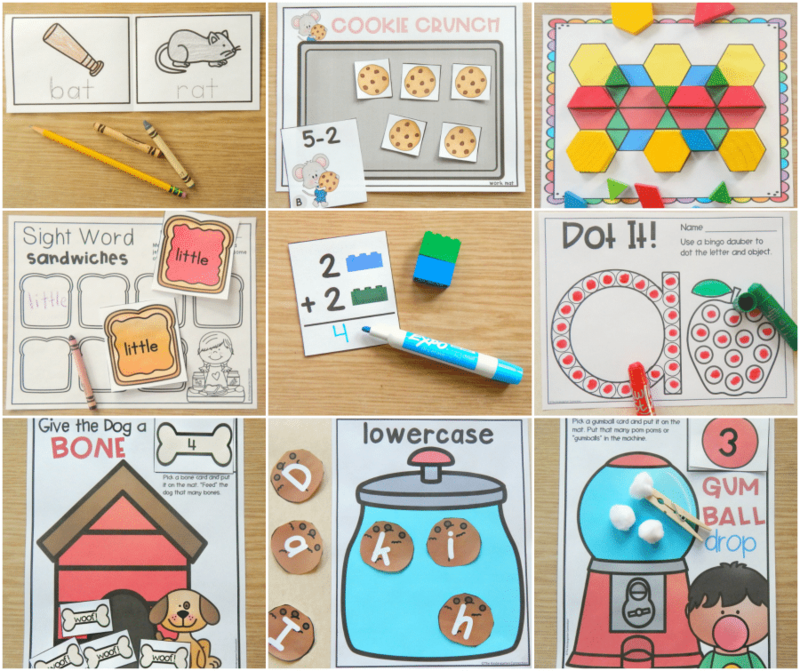 They are designed with BOTH Pre-k and Kindergarten in mind. 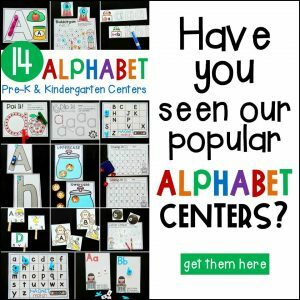 Most centers have different options and ways to play so that you can choose what works best for your learners – this makes it perfect for differentiation too!